Today, the Santa Monica Pier is once again on the upswing as a recreational and entertainment center. Each Thursday night throughout the summer, its Twilight Dance Series attracts over 10,000 people to concerts that feature popular performers in every musical genre from hip-hop to salsa, blues to country and western. Many companies and charities choose the Pier as a unique location for special events. And it is a site much favored by still photographers and film crews, who use it extensively as the backdrop for magazine layouts, movies, TV shows, commercials and videos. 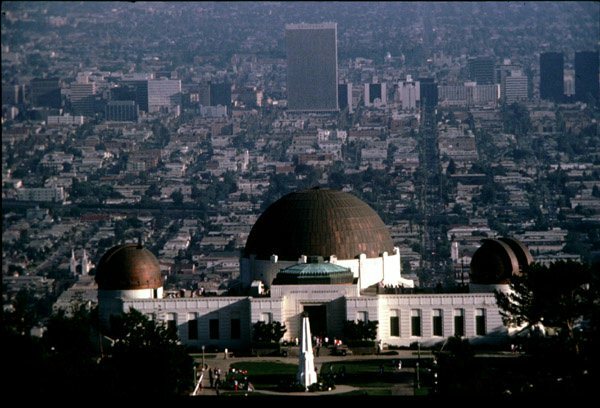 "Owned, operated, and financed by the City of Los Angeles, Department of Recreation and Parks, the observatory was a gift to the city by Col. Griffith (1850 - 1919), who also donated Griffith Park and the Greek Theatre. The observatory is a non-profit educational institution whose purpose is to provide information on astronomy and related sciences to the public. The observatory is divided into three main areas: the Hall of Science astronomy museum, the telescopes, and the planetarium theater. All are open to the public and, except planetarium shows, are free of charge. The roof-top telescopes operate only when the sky is clear. The Hall of Science features a pendulum that demonstrates the earth? rotation, scales that compare your weight on earth versus your weight on other planets and a replica of the Hubble Space Telescope. The Planetarium show takes place in the observatory's 75 foot wide, 50 foot tall dome-shaped auditorium. A live narrator from the observatory expert lecture staff leads the audience through the cosmos during the hour-long show. " An unusual destination in that it can be easily navigated on foot, West Hollywood? vibrant culture extends far beyond its penchant for cutting edge design. 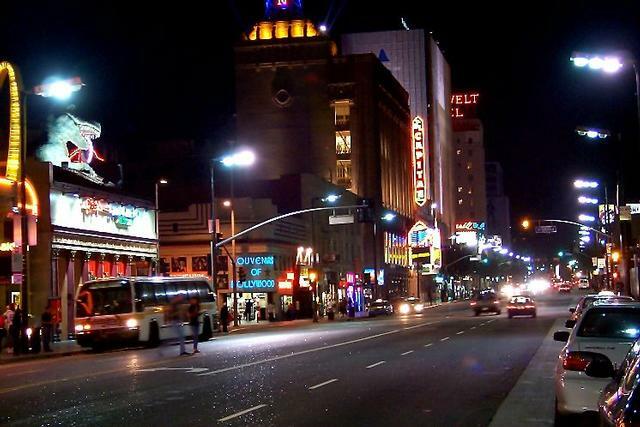 Just steps from the popular Avenues lies the legendary Sunset Strip, considered by locals and visitors alike to be ground-zero for some of the country's most exhilarating and hedonistic nightlife. Rated the top club in the US by ultra-cool Details Magazine, the Key Club presents live performances by both well-known and not-so-well-known acts amidst unforgettable, millennium-worthy door. And just a few steps down is the famed, celebrity-owned House of Blues, the newly-opened Trocodero, and ever-popular Viper Room, which has launched the musical career of many a Hollywood hopeful. 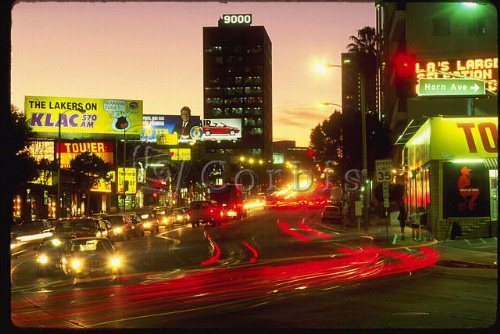 The sunset strip is a two mile section of Sunset boulevard filled with world class rock, night, and comedy clubs, as well as restaurants, botiques, and the hottest nightlife in L.A. 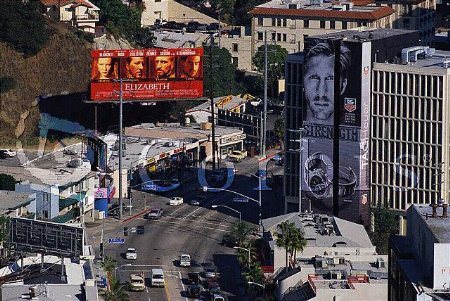 This place IS the hangout for the Entertainment industry, which is why there are lots of huge mural sized billboards directed toward the entertainment industry there. 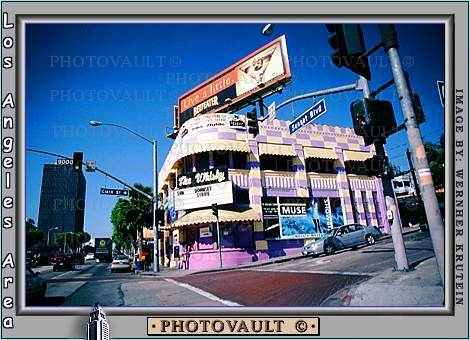 Famous and historically significant places in the entertainment industry lie there, like the Sky Bar, House of Blues, the Whisky, the Roxy, the Rainbow, the Viper Room, the Key Club, the Troubador, 9000 Sunset blvd, Sunset Marquis hotel, and the Chateau Mairmont. This place is way not like it used to be, and despite people calling it a slum and a tourist trap (with still like 11 million visitors a year), Hollywood is having a revitalization, with many new clubs and restaurants now opening around there. And the HUGE Hollywood & Highland project is finishing construction, and will prove to be a HUGE catalyst for Hollywood redevelopment. It will be THE place starting in Fall 2001. 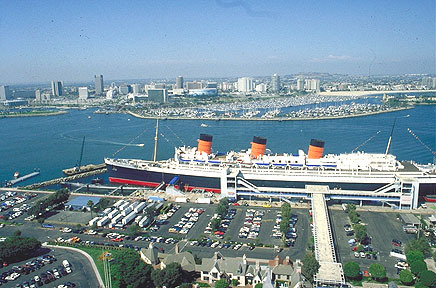 The historic Queen Mary, which was the famous luxury liner that crossed the Atlantic 1001 times from 1934 to 1967, is permenantly parked in Long Beach bay. Visitors can take tours around the landmark 1000 foot ship, as well as stay in the 365 rooms of it, dine in its award winning restaurants, etc... Also a great view of Long Beach skyline. For the past year or so it has a former Soviet Union nuclear submarine docked beside, and people can also take a look around it. 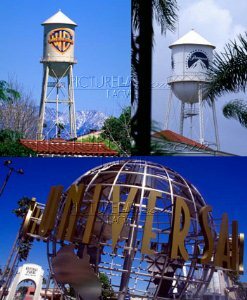 Yes, L.A. studios are not guarded by electrified fences and guard dogs, you can visit most of them, for a studio tour like NBC or by getting free tickets to be a part of the audience for a TON of shows on TV. From Friends and Frasier to Who's line is it anyway and Jay Leno. Disneyland - THE one and original, "The happiest place on earth"
California Adventure - Disney's very own Disneyland style California themed themepark. 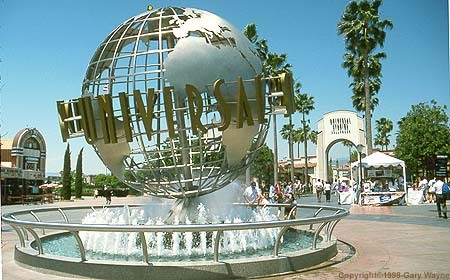 This place is almost like an amusement fun style museum on film making and special effects, as well as the studios tour. 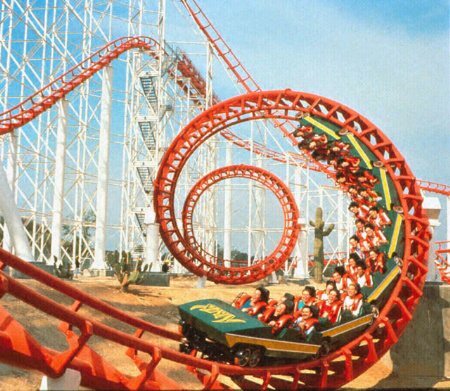 This place is UNDOUBTEDLY the roller coaster KING of the west. With over 13 roller coasters (and 2 more opening this summer), and such world record making ones like the 40 story high Superman: The escape (fastest & tallest roller coaster in the world), this amusement park's only competition nationwide may be Cedar Point in Ohio. This amusement park is known to be the oldest Independent amusement park in the U.S. 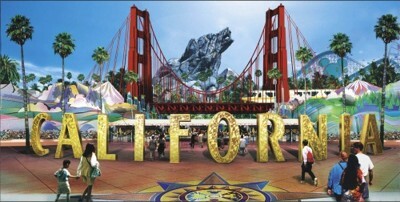 This amusement park is themed like California old west. 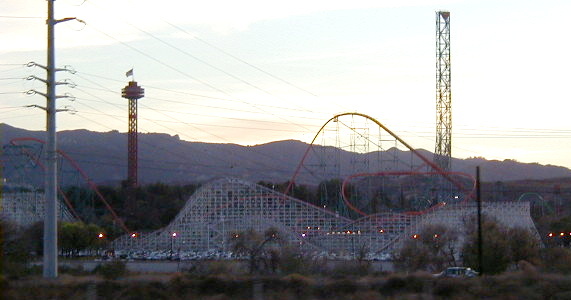 It also has 6 roller coasters and a freefall ride that pulls you up and sends you down 257 ft.
Mt. 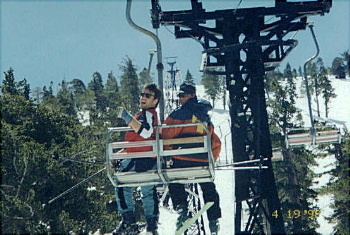 Baldy Ski Lifts (45 miles east of Downtown L.A.) - up to 10,000 ft high above sea level. 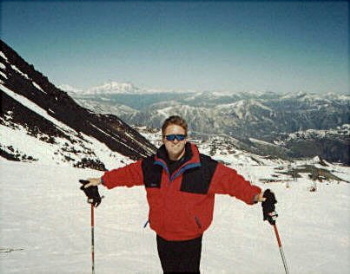 The Los Angeles area in total has about 11 ski resorts. Pics taken from the website Snow in the San Gabriel Mountains. Learn more about L.A. area's ski resorts at goski.com.